John Bridcut MVO is an award-winning film maker and author, with a string of varied documentaries to his name. In addition to his more than fifty films, he has published two books and lectures and broadcasts about music and television. His most recent film is Jonas Kaufmann, Tenor for the Ages, which followed the world-famous tenor over a period of two years. The Genius of The Mad King, for BBC Two, explored the private papers of King George III to re-evaluate him as a man and monarch. In 2016, Bridcut's film Elizabeth at 90 – A Family Tribute, achieved 9.9 million viewers and widespread critical acclaim when it was screened on BBC One. To mark the centenary of the British composer Benjamin Britten in 2013, he made the feature-length Britten's Endgame, which was nominated for a BAFTA award for its sound. This was the sixth of his widely-acclaimed composer portraits. Delius: Composer, Lover, Enigma (2012) explored the pleasures of Frederick Delius, while Elgar: the Man Behind the Mask (2010) won the Czech Crystal Award for best documentary at the Golden Prague TV Festival in October 2010, and went on to secure the 2011 BAFTA Craft Award for Sound (Factual). The Passions of Vaughan Williams (2008) and Britten’s Children (2004) have also won awards. He complemented the Britten film with a book of the same title, which was published by Faber and Faber in 2006. Since then, he has written a pocket guide to Britten, now updated as Essential Britten. Both Britten films have now been released on DVD by Decca. The Prince and the Composer, his 2011 film about Hubert Parry by The Prince of Wales, is available on DVD, as is A Jubilee Tribute to The Queen by The Prince of Wales, which was shown on BBC One three times at the time of the Diamond Jubilee, with a total audience of 10.3 million viewers. He has also produced film portraits of Roald Dahl, Hillary Clinton, Rudolf Nureyev, Mstislav Rostropovich, Colin Davis, Herbert von Karajan and The Queen. He is a regular contributor to BBC Radio 3, where he presented a documentary entitled Singing for Britten, produced by Loftus Media. John Bridcut began his career as a journalist on the staff of The Spectator, and moved into broadcasting as a BBC news trainee. After twelve years at the BBC, where he worked in national and regional newsrooms, and produced programmes such as The World at One, Newsnight and The Money Programme, he moved into independent production. 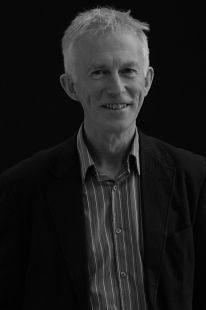 With Viewpoint, and later Mentorn, he produced a range of current affairs programmes for Channel 4 and the BBC, as well as several series on subjects of contemporary history. For fifteen years now, he has produced programmes through his own company, Crux Productions, though on occasion he also freelances for other production companies. In 2007 he authored a report for the BBC about the safeguarding of impartiality in the 21st century, entitled From Seesaw to Wagon Wheel.